The Butte/Silver Bow Creek Superfund Site and separate Operable Units, in the context of the greater western Montana environment that was impacted by historic mining and smelting damages. Cleanup is ongoing across the basin. Map from the EPA Five Year Review of the Butte/Silver Bow Creek Superfund Site, Part 6: Butte Priority Soils Operable Unit, Figures. Accutane fast delivery, which includes most of urban uptown Butte and Walkerville. Proscar women, which includes the historic underground mines of Butte, flooded with contaminated water since 1982, and the connected Berkeley Pit. Lower Area One, the site of the former Colorado and Butte Reduction Works tailings, as well as a reach of Silver Bow Creek, and the Butte Treatment Lagoons. West Camp & Travona Mine, which represent the western drainage of the Butte hill, and is largely distinct from the eastern drainage that flows into the Berkeley Pit through the flooded underground mines. Online order acyclovir overnight delivery, which includes the areas of mine dumps to the west and north of urban uptown Butte and Montana Tech. The site has not been thoroughly studied. Recently, the EPA began referring to the site as Westside Soils. For most of the Superfund process, the area has been referred to as Non-Priority Soils. The area is a popular recreation spot for Butte residents. Montana Pole & Treating Site, which contains different contaminants than most other sites due to its function as a chemical timber treatment plant, and is handled as a distinct site by the EPA. Superfund Operable Units in the greater Butte area. 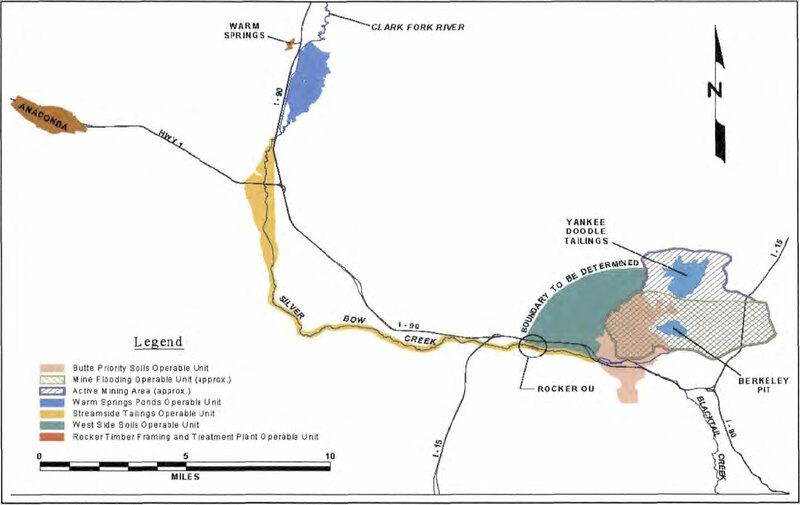 Map from the EPA Record of Decision (ROD) for the Butte/Silver Bow Creek Superfund Site (2006). In March 2013, EPA released the updated Community Involvement Plan (CIP) for the Butte Priority Soils Operable Unit (BPSOU). The updated CIP is available for download in the Ventolin side effects, or in hard copy at Get retin online and at the EPA’s offices in Butte and Helena. In early 2011, EPA issued an EPA 5-Year Review Summary for the site, which includes brief descriptions of ongoing environmental problems. EPA recently completed the third Five-Year Review Report for the Silver Bow Creek/Butte Area site. This large document is divided by OU, and all parts of the report and associated documents can be downloaded below, or via the Ventolin side effects. Hard copies of the Five-Year Review Report can be viewed at three EPA Information Repositories: the EPA Butte Office at 400 North Main Street, Room 339, the CTEC Office at 27 West Park Street, and the EPA Helena Office at 10 West 15th Street. Streamside Tailings, which includes Silver Bow Creek and its floodplain from just west of Butte downstream to the Warm Springs Ponds near Opportunity. The Warm Springs Ponds, a series of historic treatment lagoons constructed on Silver Bow Creek before its confluence with Warm Springs Creek, the start of the Clark Fork River. The Rocker Timber Site, which contains different contaminants than most other sites due to its function as a chemical timber treatment plant. The EPA has an overview of the greater site at this page. The EPA Site Profile can be found at this link. A detailed list of cleanup activities at the site can be viewed at the EPA Superfund Information Systems page, where users can also access additional site documents and additional information about Operable Units and contaminants of concern. EPA updates about the greater Butte area Superfund sites can be downloaded below. For a more complete listing of past EPA bulletins and related documents, refer to the Ventolin side effects. An overview of Superfund activities in Butte from EPA, released September 2011. 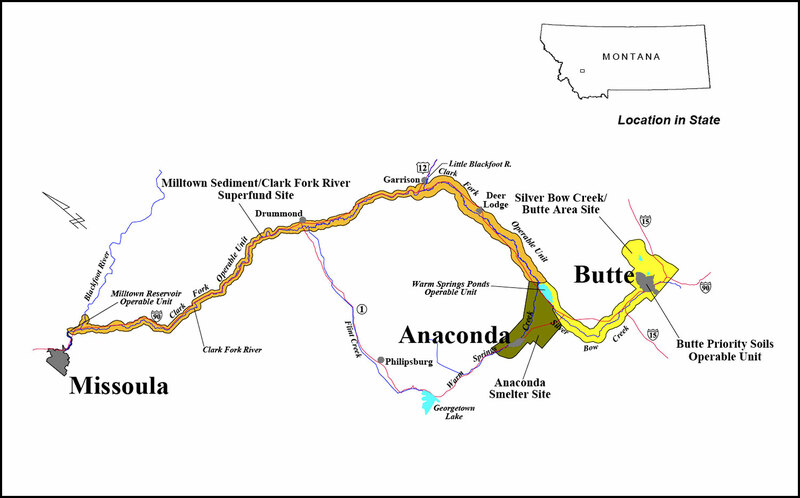 An overview of Superfund activities in Butte from EPA, released November 2011.